The groundswell which will somewhat affect the balance for the Sarawak ruling BN coalition will be of course the NCR land issue. Over the past few months the subject is like taboo and opposition voices have been heard by harping continously to win the people over. It’s an issue which has been repackaged to suit the mood of the people and even the courts have been listening. You know very well and the stage is set. Now what..? Surely, the State BN will not be affected. It seems though the opposition now is not only made up ” recycled faces “but has a mixture of very new,vibrant and very determined group. Their main focus is getting down to local issues and attacking the YBs and their report cards. 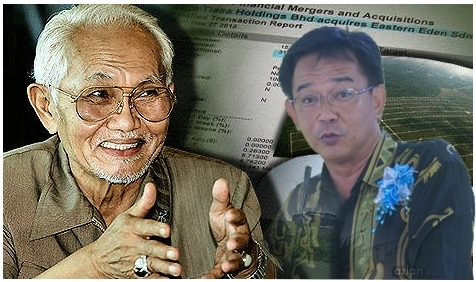 The CM Taib is the main target but it is only a guise so that the BN YBs will be caught flat-footed and lay the blame on the ” top man ” Without a doubt some of them are using the NCR issues protect their own interests. 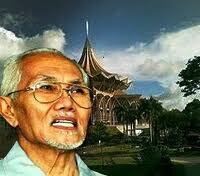 It’s clear and the signals are very clear” What happens in Peninsular Malaysia will not affect Sarawak. Sarawak has too many localised issues and the the main culprit remains the selfish needs and the over powering of certain individuals and warlords who sees that their ‘ human property’ will not and must not be compromised. The headline NCR Syndrome 2011 will be the candidates lists for BN. NCR in this context the incumbent would proudly say we will know how to deal with NCR land and other issues and on our part there is “NO CASE REPLACING” any of us. 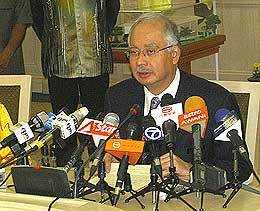 That really defeats the warcry by Najib,”winnable candidates” our little nothern tweet continued,” najib said are they winnable candidates? two terms ago, my feedback was, it not just about winning, are they going to be good and effective salesman for BN or not, generally. Now we are feeling the effect. Some of the YBs are so self-centred even though they have served more than three terms and giving way eventhough they have outlived their usage does not bother them. Furthermore they tend to use the grassroots to go on a signature campaign which is an overused and unrealistic way of promoting themselves to the top BN leadership. They will say we will have the money and machinery at our disposal and opposition will not make any headway. Are they kidding themselves or just protecting their bastion. Najib and Taib knows very well that times have changed but some of these NCR YBs are but using too much of their past glories for the present situation. Without a doubt BN can use their propaganda to their fullest and if not BN will be stupid. Pakatan will do likewise and propaganda aside its the “CANDIDATES” which the people will tick and put in office. 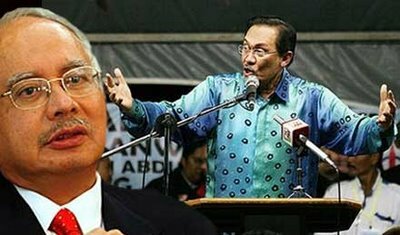 BN Commander in Chief Najib has already clearly led out a deafening warcry,” ITS NOT BUSINESS AS USUAL BUT BUSINESS UNUSUAL” NCR YBs SARAWAK needs to just see whether they are still relevant or wanted by the people on the ground or the party. No use clingling on to false hopes and working hard now when it should have been constantly been carried out. Your time is up NCR YBs and there is not much use in politiking as the report cards have been seen and last minute ‘cry baby’ syndrome will not work. BN will not sacrifice just to please a few while the majority voices are blaring loud and clear. 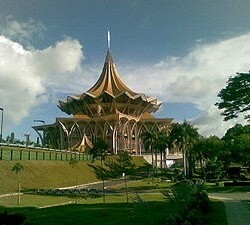 Pakatan infighting in Peninsula will have little or no effect whatsover to the Sarawak local scene.It goes without saying the BN leadership from the top to the bottom must have the ‘commaraderie” feeling or BN will LIVE TO REGRET. BN its clear and NCR YBs will need to just need to give it to a “BETTER MAN ” Mahathir said he doesn’t particularly like the song ,”MY WAY” in an interview recently as the first lyrics are “And now the end is near ” but NCR YBS should adopt it. IT IS THEIR FINAL CURTAIN. NCR to you YBs who have outlived your stay or replaced should be thankful that you have touched the hearts of your people but now its time to move on. The people knows who will be their representative and its no use if you are not on their favourite boxes to be ticked. To all our readers/friends audie61 and crew wishes you all a Very meaningful New Year 2011 and may all your wishes come true. Stay Healthy and dont over politicise NCR . WHICH BN/YB SEAT WILL FALL ? When I was asked this question at Christmas time in Bau I was dumbstrucked but still managed a smile. Am I going to be truthful and make them happy just for the sake of the yuletide season? No way, so I replied DAP/YB from Sentosa and Pending. Cheh..It’s like a tsunami hitting Bau town maybe they will be ousted said a former headmaster. I have hit the ‘core” of their conversation and it has irked them. How well they know the politics is that they have their sons and daughters who are working and living in the urban areas. Others they would not dare to speculate as they see SUPP has hardly reformed and will find it still difficult to recover the ” losts ” seats. If the party president George Chan does something drastic and put in a team of ‘very new and dynamic faces” and drop some of the existing YBs the voters might just be swayed. Other than that SUPP will still have a mountain to climb. Just then a young engineer in the 30’s butted in.You see,”BN YBs from the coalition are just not doing enough some of them I dont want to mention names and are thinking or “sleeping on their jobs”that they will be voted back in with the amount of money,machinery at their disposal. Have the Rural YBs check their EYES recently? Can’t they tell that mosts of the young ones are in towns and they will tell the elders who to vote and why? The politics of yesteryears are things of the pasts. When the election is called before July 2011 many information will be shared and it seems the BN regime will be in for a major hurdle. No Seat is safe and now the people are starting to count which BN/YB will fall. We do not want to be the prophets of doom for the BN YBs but seriously and honestly have you yorselves YBs done enough to be elected again to the State legislative Council or Parliament? The DAP YBs and 1 PKR YB are not exactly faultless. They don’t have the development funds to see them through but somehow or rather they still manage to strike the ‘ nerve point” of the people of their constituency. The word on the ground is obviously now,”Who will FALL. 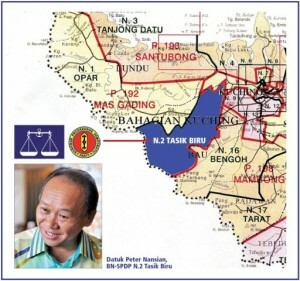 ?” Even YB Peter Nansian N2 Tasik Biru is under threat and he knows it. There is a significant drop in visitors to his ‘open house” from nearby constituents and he knows that he has to double his efforts to maintain his stranglehold. He even used the scouts motto,” Be Prepared” to stay ahead of the opposition which has been very busy moving about in his area. He has been diligent,been working hard and above all he will not let his guard down. The elders said others we worry as there are too many unfavourable stories,gossips and rumours but we can’t see Nansian been caught with his pants down. The differance always lies with the responsible YBs themselves. One though should not even cry a little tear for those who thinks that they are in the position because they deserve it. What if ,Pakatan makes significant inroads in Peninsular Malaysia? Isn’t this dangerous ground for the present BN coalition. 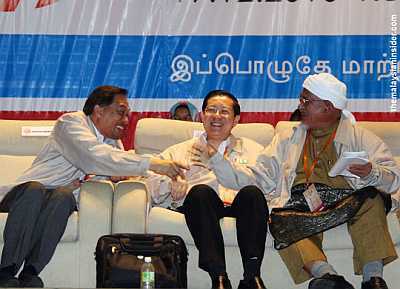 The Pakatan will use whatever means to get to PutraJaya and BN will need to be on their toes. The Propaganda machines available at each others disposal will play a very huge part in the next general elections. During the festive period of Christmas we usually will look for certain items which are meaningful TO GIVE to our Loved ones be it our mum,dad our better half ,nephews,nieces etc etc. It is not only giving but we DO RECEIVE as well which makes it all the more worthwhile exercise to some. Are you not like a child who will be getting his hands on the wrapped up presents and waiting for the signal to just open it all up and seeing whether your WISHES OF A CERTAIN GIFT is bundled amongst the many presents which are stacked up under the Christmas trees. Political parties be it in the alliances of BN or Pakatan coalitions are notoriously like little spoilt brats at the worst of time especially when it comes to their “ANNOINTED SEATS” As much as they would love to maintain their grip there are instances and beyong doubt certain genuinely hard truths that it is better to GIVE than to suffer the indignity of not Receiving a kind gesture of a win in a loss cause. There are always calls within the coalitions that certain seats are bests represented by that political party but the overpowering grip of a stranglehold by earlier concensus and agreement of the seats by virtue of even “moving an eyebrow”will have detrimental effects if pursued. 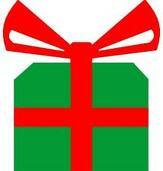 ARE YOU READY TO GIVE OR TO RECEIVE..? GIVE IN TO SWAPPED SEATS OR DEFEATED FOR BEING STUPIDLY STUBBORN OR EGOISTIC…? The festive season will see many political figures and parties giving and receiving guests to their homes and exchanging greetings and pleasantries. There will light discussions and certain whisperings in the background to come to a certain equation which will be further elaborated when the serious stuff comes around. For now it will be merry making,eating more than enough to make the stomachs happy,singing passionatedly at Christmas masses or at karaoke rooms and all differences however akward they may seem will be put aside. We will also say goodbye to 2010 and singing “auld lang syne” a week after Christmas. 2011 will dawn upon us and audie61 management and crew would like to take this opportunity to wish everyone a “Very Happy and Blessed Christmas” and a Wonderful Year Ahead 2011. We Praise the Good Lord for giving us the wonderful year that will be passing us by and seek forgiveness for the wrongs we have done and committed unintentionally. We hope that the political parties in Malaysia will give as much as they will receive from the RAKYAT who has voted them in and continue to serve to their bests of their abilities. 1. Count me Out– A senior editor said,”he should know very well that he has no place in SUPP still he thinks that he is WANTED. He is trying to divert from the truth and he should have just said,”he is never interested in politics thats good enough.” Furthermore who is he to be approached as there are many others more than capable than him. He will be very far in the line of others in SUPP and thats why he is trying to deflect it. 2. S’wak whistleblower site ‘hacked’ Chance meeting with Dr. Jeniri Amir lecturer from Universiti Malaysia Sarawak and telling him. “if you are being attacked, would you just hold back and get chopped and hacked..?” Would you not do something about it? The present State administration must be seen to do something to protect the Chief Minister and all Generals and soldiers in any battle would ‘humanly possible‘ protect their COMMANDER IN CHIEF. You must watch the present series on how the Chinese did battle in the Three Kingdoms. 3. 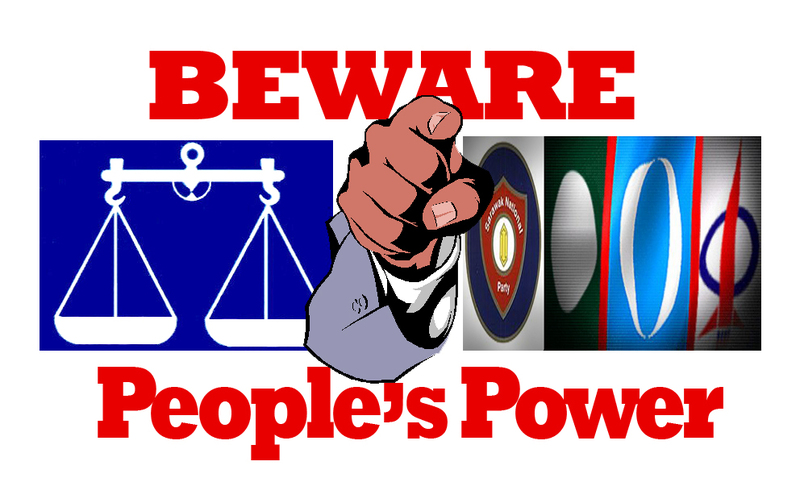 BN/Pakatan-Knowing the Truth..? ?”December 9, 2010 we wrote. Today we told an english news editor,”Do you honestly think that BN will tell the opposition how they are going to fight their cyberwar? Where did you hear bout the MS10 million fund.It must have been spread through some blogs. It is speculation and rumour but it can be real. COULD IT…?? The Asajaya assemblyman and Chief Political secretary Karim Hamzah “scoffed at the notion that such information would even be leaked via the Internet. “Even though we have a strategy, we will keep it confidential. You don’t reveal your trump card to your opponents,” he said. “ARE WE ALL FOOLS TO BELIEVE..? No guessing game needed. His 30th year book is already taking shape and now with his marriage what else is NEW? He can take his lovy-dovy time now and wait for the right moment. The cut off period though is July 2011. Eventhough Sammy Vellu the former MIC President has already called it a day. 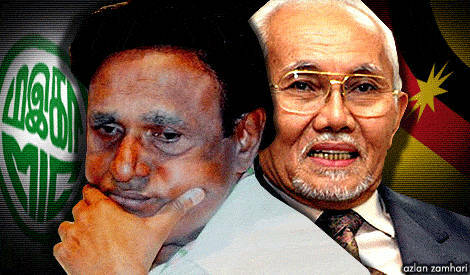 The “HEAT” is on CM Taib to finally leave the State adminstration to a New Man incharge. A school of thought has even said,”he should leave sooner rather than later as if he delays and take charge to lead the State in the next elections he will lose his invicibility” Sammy Vellu is enjoying his new found status and Taib must also be looking at this angle. The call of “The enemy is Outside was echoed by UMNO Youth Chief and Rembau MP Khairy Jamaluddin and he has really touched the “NERVE POINT” of the BN coalition partners. Even now as we are speaking at the Pakatan convention the YB said,”I heard the BN is under attacked and at every opportunity the shells and torpedoes are being fired at us with regards to Pakatans march to Putrajaya and how NOT WELL(tidak bagus) we are running the country. They are having their convention now just after our BN Convention. DO YOU THINK THEY ARE BETTER..?? The YB continued “CM will scrutinize and ensure that our 71 BN candidates are up to mark and as PM Najib says “winnable candidates” which has far reaching effects and all the State BN Chairmans will need to adhere to. Its already a different approach and away from the ‘norm where the warlords will push their candidates through and try to derail the machinery if their candidate is not picked.” CM has always gathered information and he knows the ground well if not he would not have stayed this long. Can you manage even 15years without collapsing..?? Police and Politicians would always try to issue statements and also tell Voters “DON’T GAMBLE YOUR FUTURE AWAY” This though has got to be just UNBELIEVABLE and WAY ABOVE BEING NORMAL. Anyway the gamblers are anything but normal as they are addicted and would go to any length and breadth to satisfy their DAILY KICKS. DOES THIS BOTHER OUR MINDS …??? BUKIT MERTAJAM, Dec 18 – For residents of Kampung Baru, there appeared to be a grave situation. This followed “spirited” activities in the dead of the night at a Chinese cemetery in Kampung Baru here over the past two weeks.Strange men were spotted walking stealthily towards the cemetery. To some residents, the thought that paranormal activity was in progress, could have crossed their mind. Probably unnerved by the nocturnal goings-on, some residents alerted the police.When undercover policemen turned up at the cemetery yesterday evening, they found no hint of the macabre. Instead, they stumbled on 23 spirited men, including several senior citizens, gambling passionately at the burial ground.The police nabbed the suspects, including 70-year-old men, and seized RM40,671 and gambling paraphernalia including a bowl, three dice, 78 gambling chips, three long tables and 20 chairs. A police spokesman said today, a team of personnel from the Penang police contingent anti-vice, gambling and secret societies division raided the area. on behalf of audie61 management and crew we would like to express our condolences to the family of the late Tenang assemblyman Sulaiman Taha who was called back to the “Almighty Creator” this morning. May his soul and the souls of all the faithful departed rests in peace. It is expected that the by-election will be held in January next year before Chinese New Year, which will fall on Feb 3.